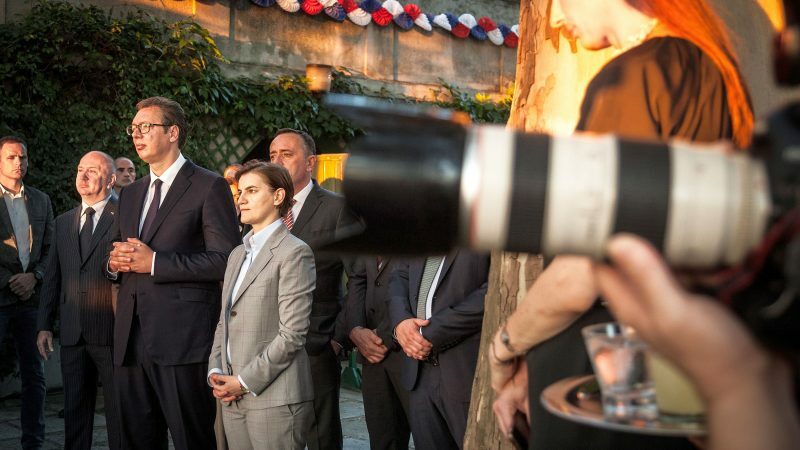 Over the past year, 102 cases of pressure and attacks on journalists and other media professionals have been documented in Serbia, marking a worrying upward trend in the EU candidate country, EURACTIV Serbia reports. According to an analysis conducted by the Independent Journalists’ Association of Serbia (IJAS), in 2018, journalists were physically assaulted seven times, there were 72 cases of pressure and 23 verbal threats. IJAS says that the number of attacks on journalists have more than doubled since 2016. “Although the pressures do not contain direct threats, nor do they directly physically endanger journalists, they can lead to the endangerment of journalists’ safety,” reads the IJAS analysis. An attack in December saw the house of a journalist from Žig Info website set on fire, The reporter had been writing about malfeasance in Belgrade’s Grocka municipality and its leaders. He and his wife escaped the blaze. The perpetrators were arrested, while the municipal head was also arrested on suspicion of having ordered the arson, and is now in custody. Pressure on the media also continued via court proceedings – 626 charges were pressed against the media, of which 505 have been resolved. What marked the Serbian media scene in 2018, according to the IJAS, was also an increase in the number of lawsuits filed by public officials against independent journalists and media that report in a critical manner. IJAS representatives also highlighted the problem of impunity of attacks on journalists and recalled murder cases that were several decades old and were still in the pre-investigation stages or where trials lasted too long. State Secretary at the Ministry of Interior Biljana Popović Ivković insists that the police are taking all the necessary measures in cases of assault on journalists and the government is determined to see those culpable punished most severely. In the latest report by the Reporters without Borders for 2018, Serbia slid down 10 spots on a list of 180 countries, to 76th place, and was one of the five countries in the world with the biggest decline in media freedom.